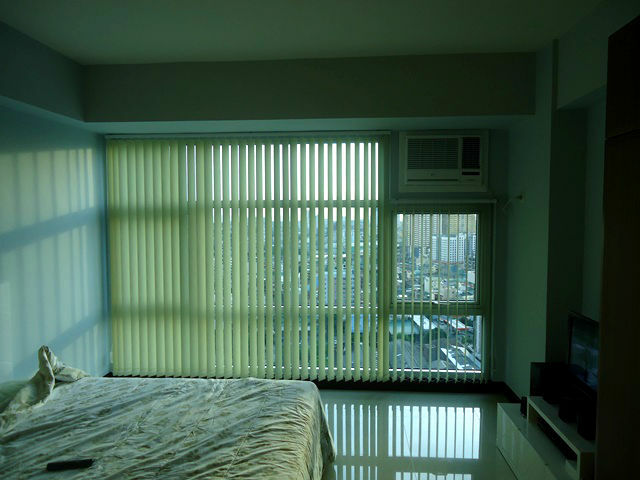 One of our clients who live in a condominium in Makati City opted for Fabric Vertical Blinds for her bedroom glass wall. Since his unit is on the 12th floor, the sun that passes his glass wall is too hot and irritating. However, since he is in higher floor, he also has a magnificent view through his glass wall. The fact that he loves the beautiful outside view and dislikes the irritating sun rays entering, planning and choosing the best and most appropriate cover is necessary. Fabric Vertical Blinds is the best option and solution to his problem since Fabric Vertical Blinds has the best mechanism to control the amount of light entering the room and can also totally block the sunlight, depending on your preferred amount of light. Vertical slats can be slanted to the left or right, depending on your preferred degree of privacy. In addition, Fabric Vertical Blinds has large range of colors, e.g. white, beige, green, violet, blue, etc. DS Windows & Walls Interior Supply offers different kinds of Vertical Blinds pattern. We have fabric and PVC material for vertical blinds. 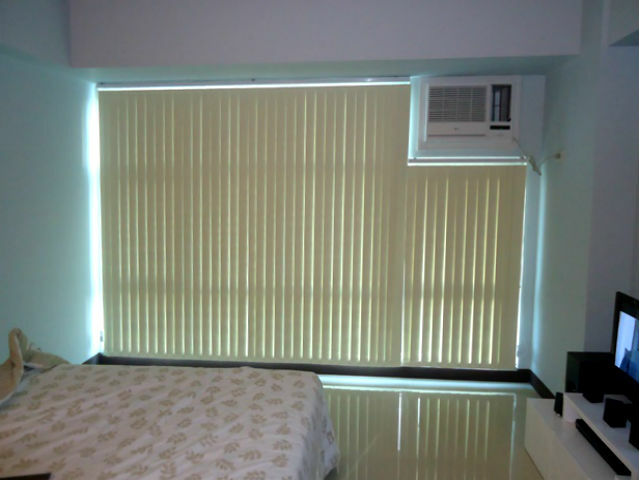 You may see various colors, designs and materials of vertical blinds in our online web store angryblinds.com.ph. For actual samples of our products, you may visit our showrooms at 4th Level Waltermart, Makati City, 3rd Level Robinsons Metro East, Pasig City and 2nd Level Pacific Mall, Lucena City. 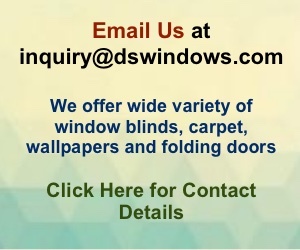 For more assistance and questions you can call us at (02) 893-1373 / (02) 403-3262 / 0916-311-3909 or email us at inquiry@dswindows.com. We also have a partner and distributor of Roller Blinds and Combi Blinds at Dipolog City, Zamboanga Del Norte, Mindanao. You may visit Paneo Furniture located at Bagarinao Complex Cor. Quezon and Zamora St. Dipolog City, Zamboanga Del Norte. Or text / call them at 0999-991-8748 / 0939-418-8355.